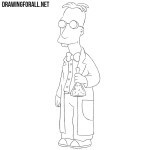 The Simpsons series is very popular with the team of our site, every series of which we were looking forward to in the distant nineties. 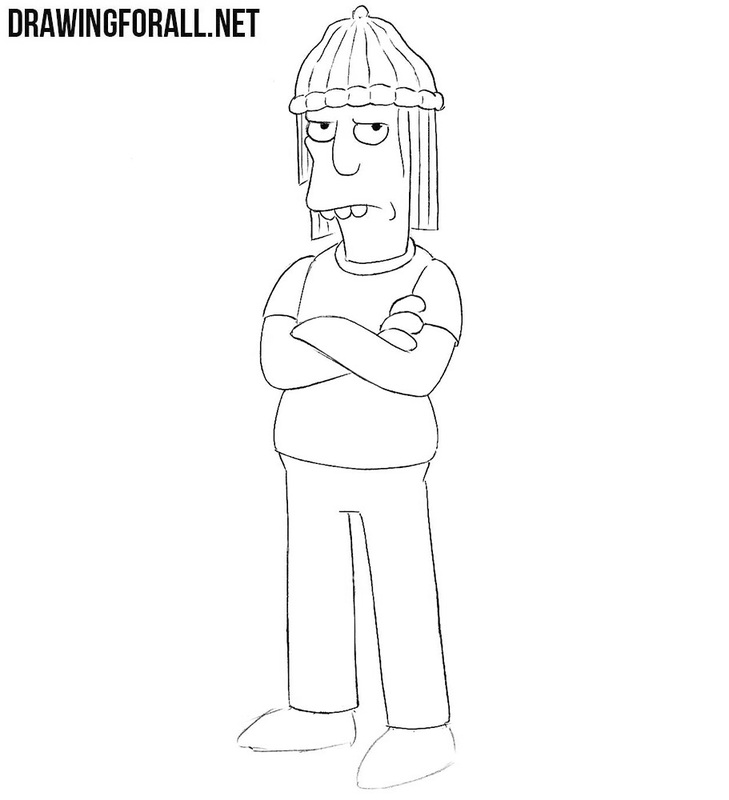 Unfortunately, now the Simpsons have ceased to be as cool as they were then. 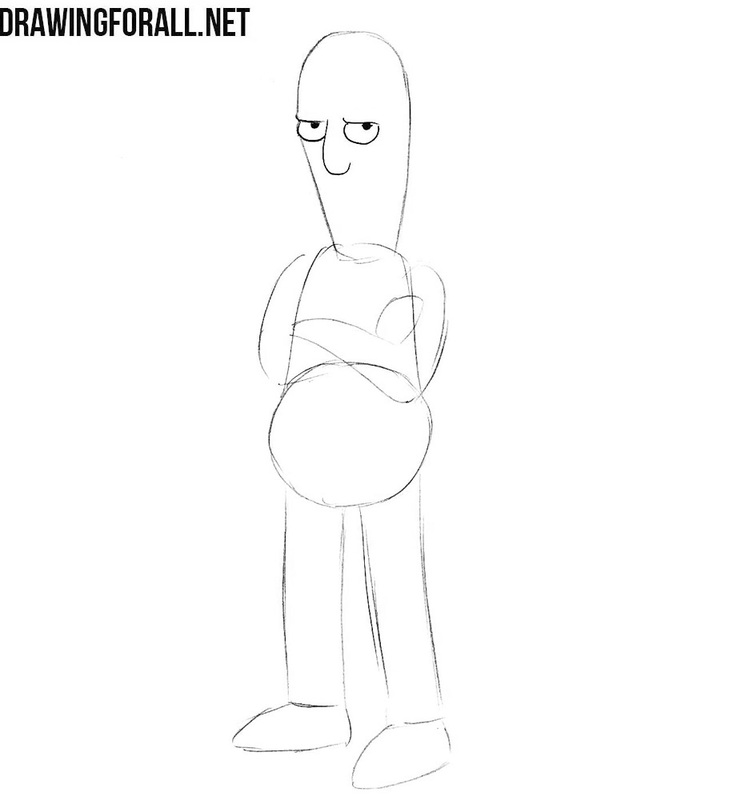 But despite this, we really love this series, and we want to draw the most interesting characters. 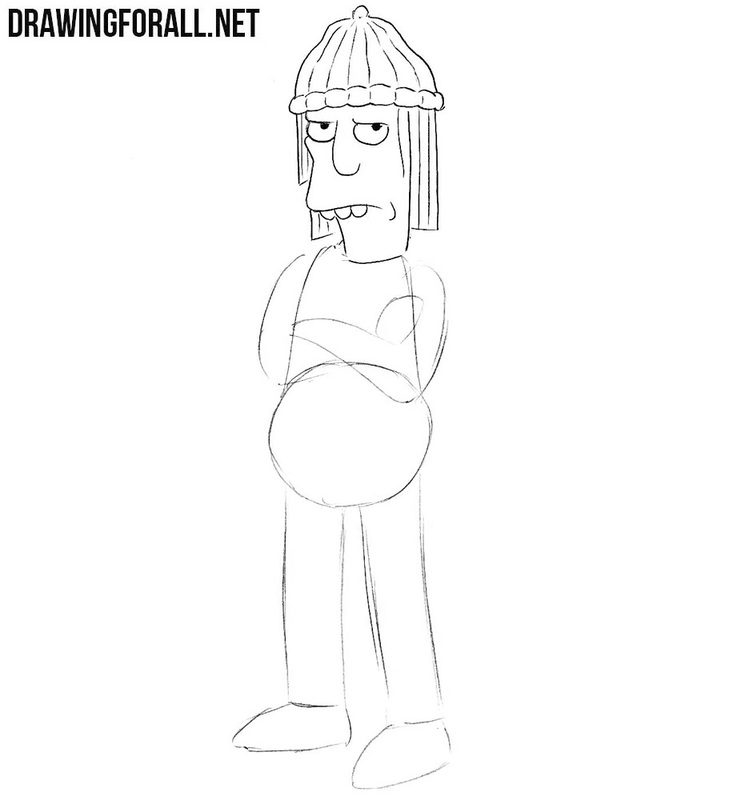 So, today we’ll show you how to draw Jimbo Jones. 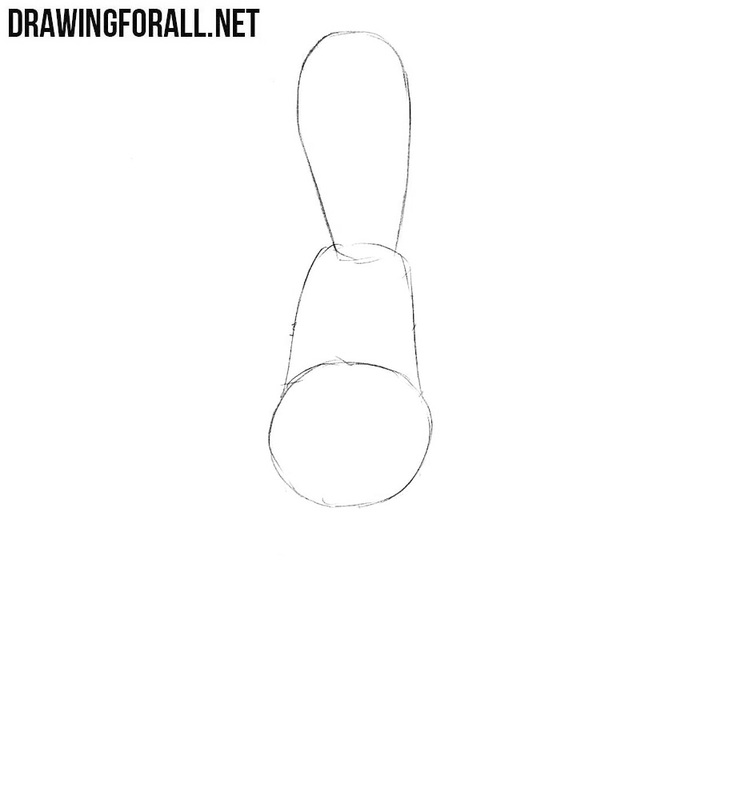 So, let’s first outline a long head with the neck and the outlines of the torso. 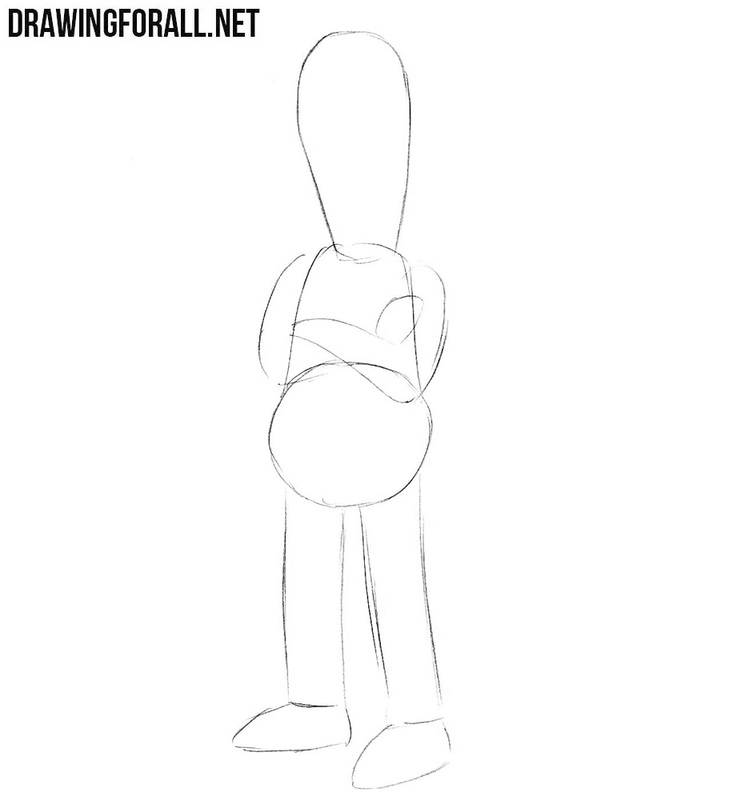 Next, sketch out the outlines of legs and arms crossed on the chest. Accurately draw out the gloomy eyes with dots-pupils and a rounded nose. 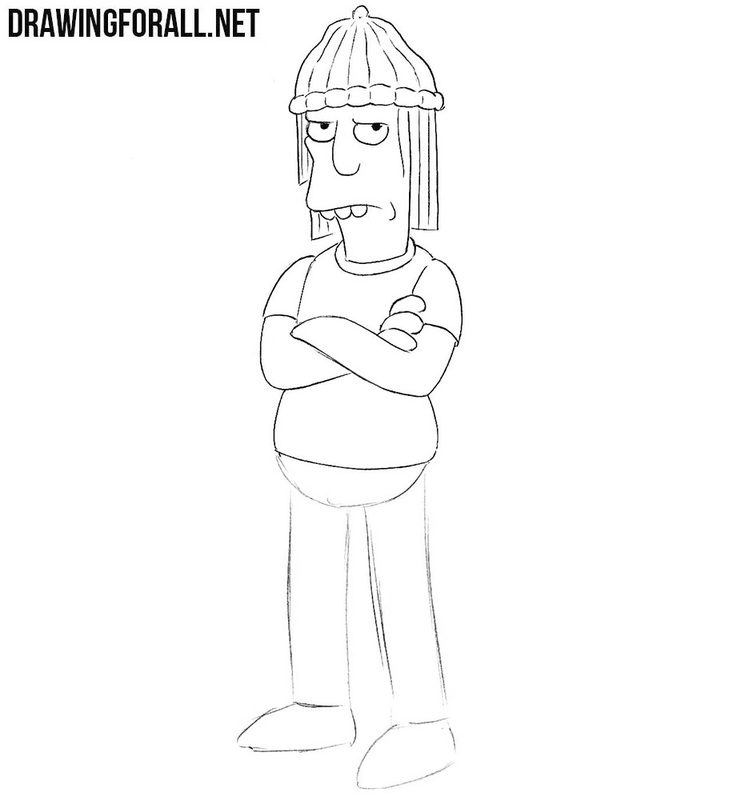 A fairly complex step – draw out the outlines of a knitted hat and long hanging hair. Now, again, go to the face and draw the outlines of the cheekbones, mouth and sticking round teeth. Now let’s draw the shoulders, the outlines of the short sleeves and arms folded on the chest. An extremely simple step in which we just need to draw the bottom edge of the T-shirt. This step will be slightly more difficult than the previous one, in it we will draw the lower part of the torso and legs. 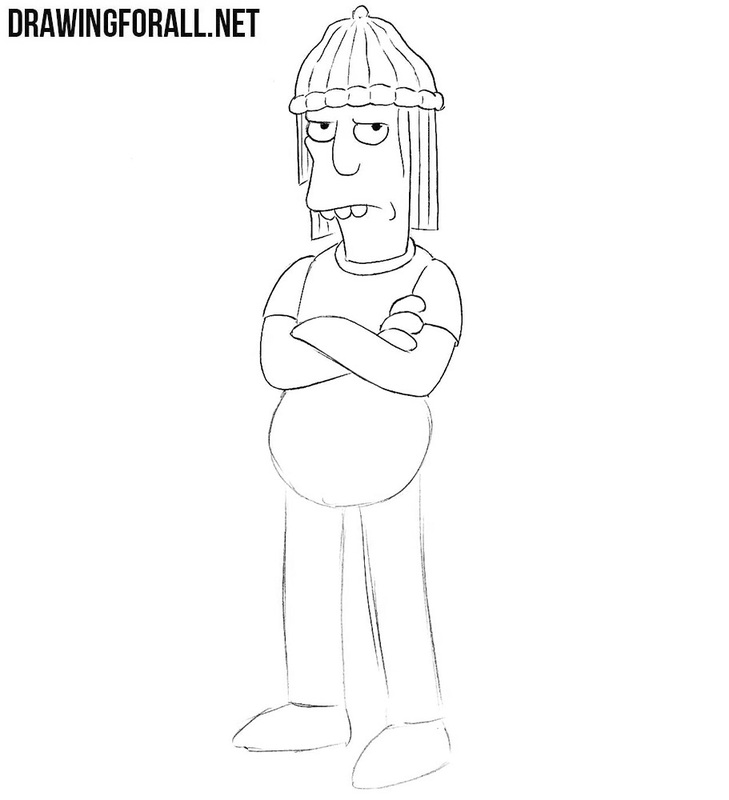 And the last step in which we draw the shoes, or rather the sneakers of Jimbo Jones. 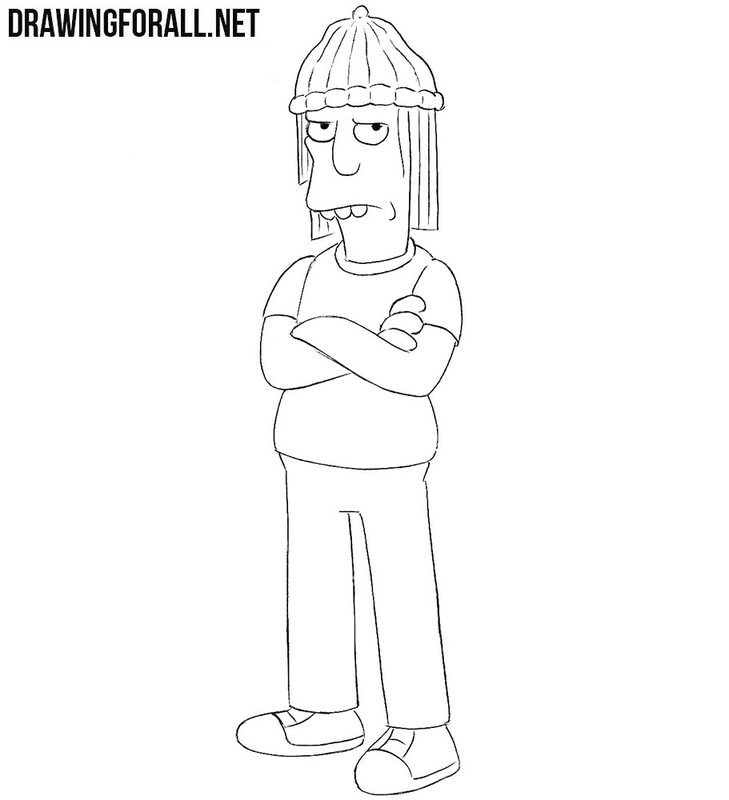 Another character from the Simpsons is now on our website. 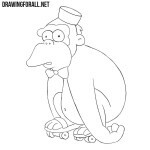 Write to us what other characters you want to learn how to draw, so that we can create a drawing lesson. 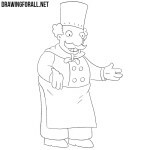 In order to support us, subscribe to us and share our drawing lessons.